Cast as far as you can into the darkness. Strip. Strip. Strip. Strip. WHAM! The fight is on. 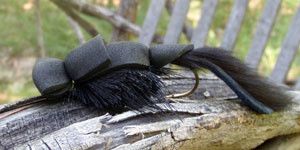 It’s pulling harder than any trout you’ve ever fought. Close to the net. Light comes on. It makes another powerful run. Back to the net. Again it runs from the light. Getting tired (your arm, not the fish). 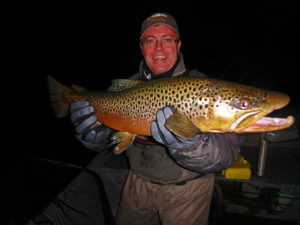 Finally it comes to the net and you’re staring at something too big to be a trout. 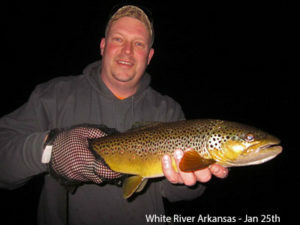 That’s kinda how the story goes when you catch the trout of a lifetime at night, mousing the White River. Check out the pictures below if you don’t believe it. 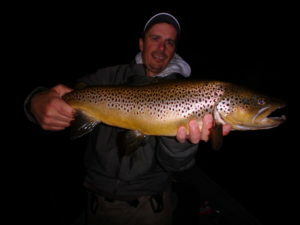 Big browns do most of their feeding during low-light periods and at night. 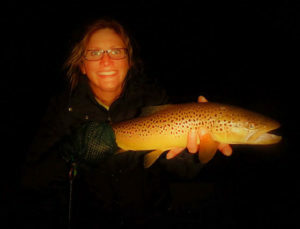 When the water is low, sometimes the best streamer fishing is at night. 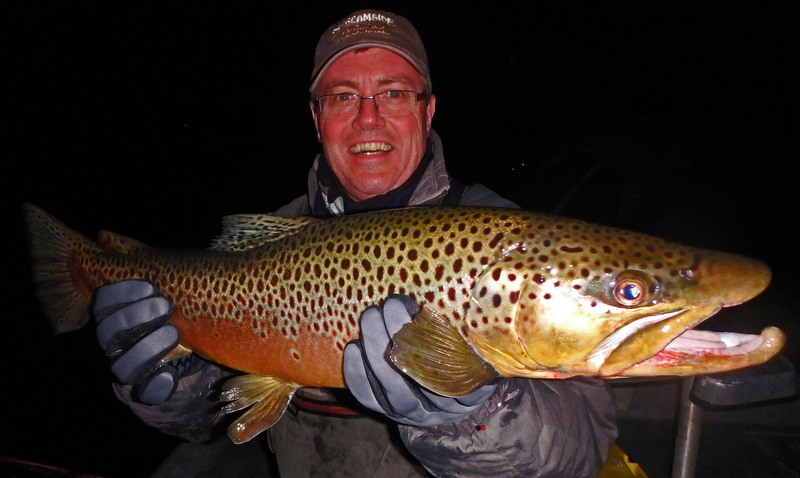 Year-round, mousing at night can be a really productive way to drum up huge fish. The thrill of hearing a monster brown blow up your mouse in the darkness is an unforgettable experience.